Revive yourself on Dia de los Muertos Celebrate the Day of the Dead by reviving yourself with tequila and tacos at this parking lot fiesta. Revive yourself on Dia de los Muertos Pistolero’s Celebrate the Day of the Dead by reviving yourself with tequila and tacos at this parking lot fiesta. Do the Halfway to Santo de Mayo Social Run Because it’s never too early to drink beer and gear up for May’s Santo de Mayo 5K. Free to run, $15 for three beers, and breakfast tacos. Do the Halfway to Santo de Mayo Social Run Flying Saucer Because it’s never too early to drink beer and gear up for May’s Santo de Mayo 5K. Free to run, $15 for three beers, and breakfast tacos. Picnic in the Park Get the best local bites and booze while supporting an excellent cause -- SEARCH Homeless Services. Tickets are $100. Picnic in the Park Discovery Green Get the best local bites and booze while supporting an excellent cause -- SEARCH Homeless Services. Tickets are $100. 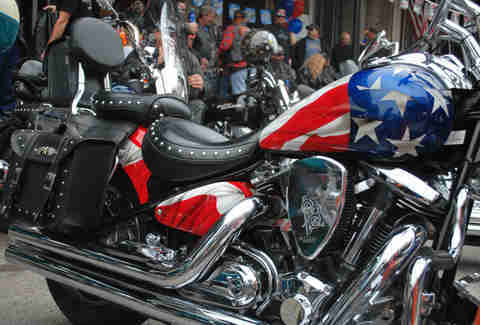 Lone Star Rally Hit the island for eye candy, model demos, and the largest motorcycle rally in North America. Lone Star Rally The Strand, Galveston Hit the island for eye candy, model demos, and the largest motorcycle rally in North America. Run a beer race Kill two birds with one stone. The Brew Mile means you’re drinking a beer every 1/4 mile for one full mile. Run a beer race Houston Sports Park Kill two birds with one stone. 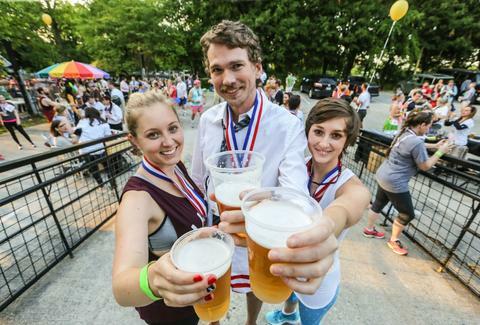 The Brew Mile means you’re drinking a beer every 1/4 mile for one full mile. 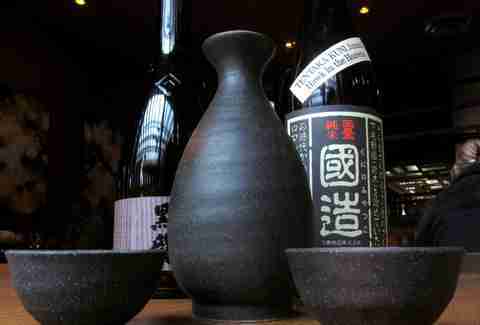 Take a sake class Taste hard to score hot and cold sakes (with light fare) for $65. Call 713-526-8858 for reservations. Take a sake class Kata Robata Taste hard to score hot and cold sakes (with light fare) for $65. Call 713-526-8858 for reservations. largest wine event 12th Annual Houston Cellar Classic pours 100 different wines alongside chef-crafted bites from local restaurants. largest wine event The Tasting Room - Uptown Park 12th Annual Houston Cellar Classic pours 100 different wines alongside chef-crafted bites from local restaurants. 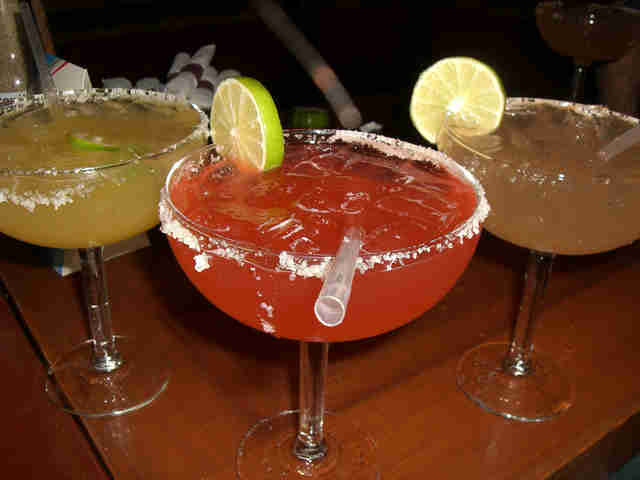 Drink allllllllll the margaritas Bayou City’s favorite beverage will be in abundance at the 4th Annual Houston Margarita Festival. Drink allllllllll the margaritas Sam Houston Park Bayou City’s favorite beverage will be in abundance at the 4th Annual Houston Margarita Festival. Release your inner bicycle enthusiast With over 50 different bike industry vendors, the 4th annual HTX Bike Fest is basically a massive all day swap/meet for healthy people. Release your inner bicycle enthusiast Market Square Park With over 50 different bike industry vendors, the 4th annual HTX Bike Fest is basically a massive all day swap/meet for healthy people. Judge a BBQ throwdown $55 tickets to the Houston BBQ Throwdown include Saint A’s beer and meat candy from the best local pit-masters, Brooks’ Place BBQ, CorkScrew BBQ, Pappa Charlie’s Barbeque, and a ton more. 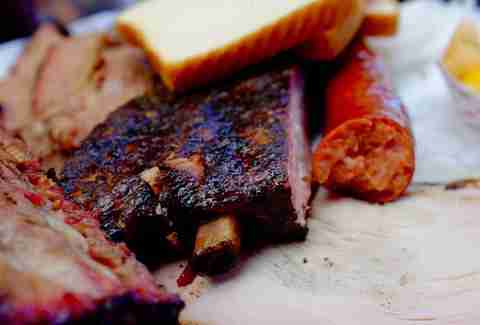 Judge a BBQ throwdown Saint Arnold Brewery $55 tickets to the Houston BBQ Throwdown include Saint A’s beer and meat candy from the best local pit-masters, Brooks’ Place BBQ, CorkScrew BBQ, Pappa Charlie’s Barbeque, and a ton more. Have whiskey with dinner Jameson + Lowbrow + Billy Ray Valentine = one can’t miss whiskey-fueled supper. Have whiskey with dinner Lowbrow Jameson + Lowbrow + Billy Ray Valentine = one can’t miss whiskey-fueled supper. Get your holiday shop on With 300+ merchants, the Nutcracker Market is like Santa’s workshop on crack. Get your holiday shop on NRG Park With 300+ merchants, the Nutcracker Market is like Santa’s workshop on crack. 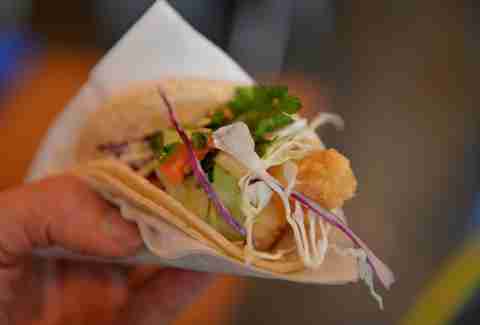 TACOLANDIA The Houston Press’ inaugural taco sampling event was pushed back a month due to inclement weather (ahhh, Houston), but that just means November just got a whole lot tastier! TACOLANDIA The Water Works at Buffalo Bayou Park The Houston Press’ inaugural taco sampling event was pushed back a month due to inclement weather (ahhh, Houston), but that just means November just got a whole lot tastier! Eat lots of Turkish food The Houston Turkish Festival is your chance to go nuts on falafel, halal hot dogs, kebabs, and doner. Eat lots of Turkish food Jones Plaza The Houston Turkish Festival is your chance to go nuts on falafel, halal hot dogs, kebabs, and doner. Go whole hog at a grand opening Live music, a whole hog roast, and Gulf oysters are just a few of the exciting things going down at Bramble’s grand opening party. Go whole hog at a grand opening Bramble Live music, a whole hog roast, and Gulf oysters are just a few of the exciting things going down at Bramble’s grand opening party. Houston Via Colori Get inspired when over 200 artists converge on the streets to celebrate the artistic spirit of Houston. 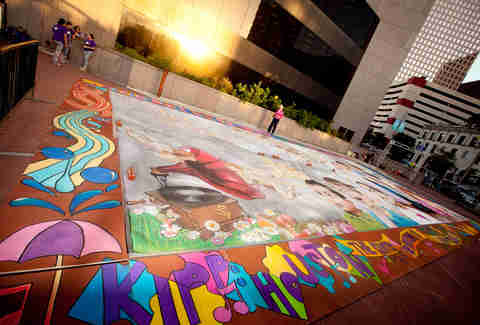 Houston Via Colori Hermann Square at City Hall Get inspired when over 200 artists converge on the streets to celebrate the artistic spirit of Houston. Houston Whatever Fest All the cool kids will be at this music, comedy, and arts festival, from comedians TJ Miller and Doug Benson to GWAR and The Atari’s. Houston Whatever Fest EaDo Party Park All the cool kids will be at this music, comedy, and arts festival, from comedians TJ Miller and Doug Benson to GWAR and The Atari’s. Get your holiday shop on again Hit Pop Shop Houston’s holiday festival to get your holiday shopping done early. Your mom will thank you. Get your holiday shop on again Silver Street Studios Hit Pop Shop Houston’s holiday festival to get your holiday shopping done early. Your mom will thank you.